Retired from the Army and living alone, Amy Callan and Lieutenant Caroline Cook are found dead in their own home, in baths filled with Army-issue camouflage paint and with their bodies completely unmarked. 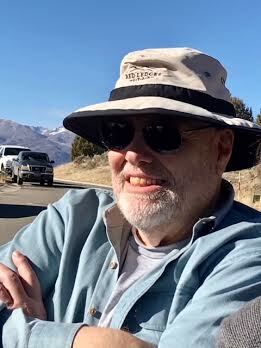 The FBI’s psychological profile expert is convinced, and has convinced her coworkers, that Jack Reacher had motive and was guilty of killing Amy and Caroline. It seems like an astounding conclusion at first, but she has facts that the FBI help her make work. When it is finally clear that he didn’t do it, the FBI frames and threatens him into helping them. 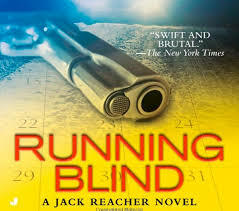 What have these women have in common, and why is someone out to do them harm, is where Reacher starts when he agrees to help, but he indeed seems to be, as the book title suggests, “Running Blind”? 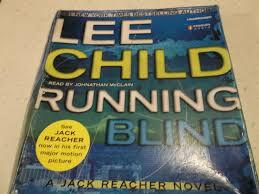 This is book #4 in Lee Child’s Jack Reacher series and Jack is trying to decide what to do with house he inherited and a young woman he has loved since childhood from book #3. Either of these books could stand alone and hold your interest but the resolution to these questions is welcomed in this book. The plot twists and turns with his search for the killer but this book stands out from the 15 others I have read before reading and reviewing this book. The puzzle of who the killer is and how it was done is fascinating. 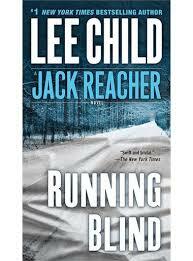 True to form for a Lee Child plot and a book you will not want to put down, of course.